Raden Luggage is a company that specializes in high quality and durable luggage. 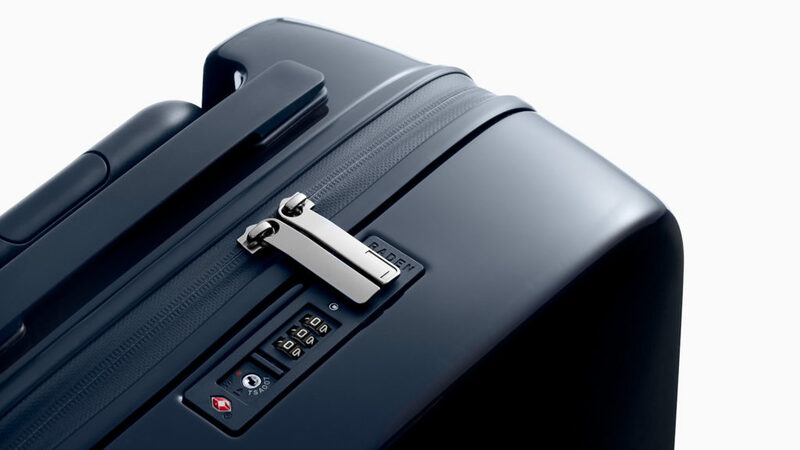 The company has perfected the design of suitcases to facilitate your travels. The various size and style options for the Raden products make it easy to find what you need. With Big Apple Buddy’s personal shopping service, you can now buy direct from the Raden Luggage online store anytime, anywhere. Experience traveling like never before with the A50 Set from the Raden Luggage collection! This sturdy yet stylish suitcase is guaranteed to be your new best traveling companion. Best of all, you can choose from various colors according to what your style is. It's a secure and strong but remains lightweight so you have an easier time traveling while taking everything you need and more! Traveling for a longer period of time? The A28 Check from Maden Baggage is the one for you! You can fit your clothes, shoes, and much more but still be able to seamlessly pull the bag along. There are again various colors to choose as well as a gloss or matte finish for a unique touch. 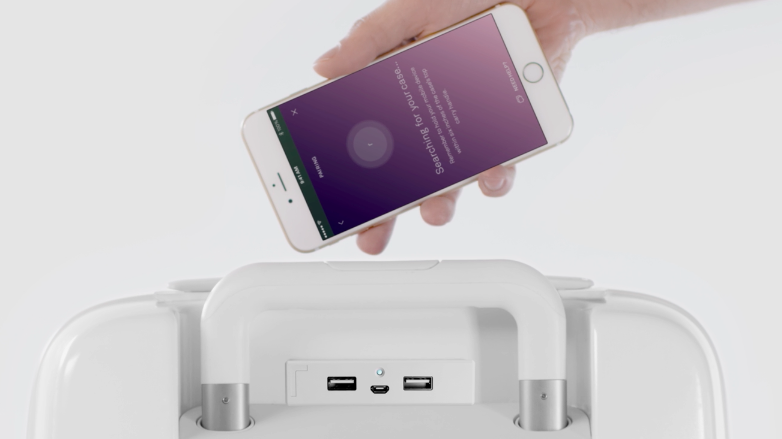 You can do anything with this suite case - charge your phone, figure out the weight, or even locate the bag! It's small but mighty! The A22 Carry from Raden Luggage has everything you need in a compact size. It has TSA-approved dimensions so you don't have to worry about any problems at the gate or security. The strong polycarbonate shell can tae any rough treatment during travels meanwhile you have all the features of the bigger suitcase. Best of all, the spinning wheels help you easily pull it along. 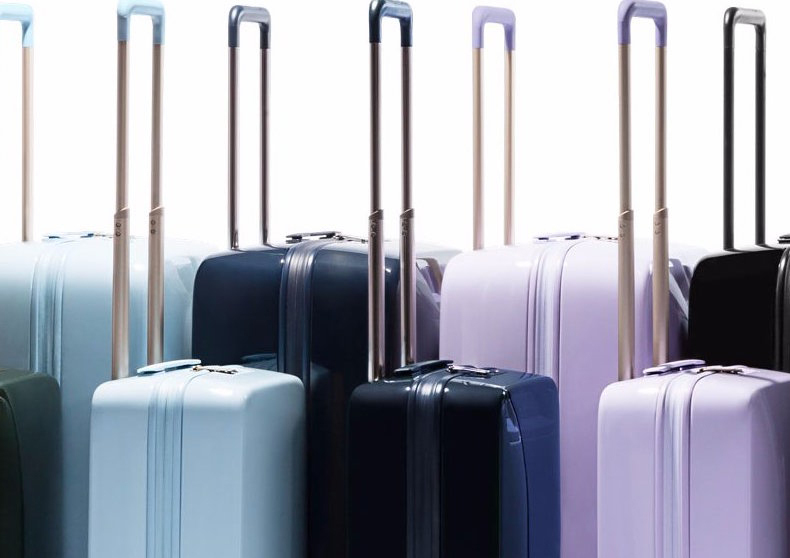 Unfortunately, the USA Raden Luggage online store does not currently offer international shipping. However, Big Apple Buddy, your personal shopper, can help you buy products direct from the official USA Raden Luggage online store and ship them to your doorstep, no matter where you are in the world. We offer international shipping to over 110 countries including Australia, Austria, Azerbaijan, Bahrain, Belgium, British Virgin Islands, Brunei, Bulgaria, Canada, Chile, Costa Rica, Croatia, Czech Republic, Denmark, Estonia, Fiji, Finland, France, French Polynesia, Germany, Gibraltar, Greece, Greenland, Hong Kong, Hungary, Iceland, Indonesia, Ireland, Israel, Italy, Japan, Jordan, Kuwait, Latvia, Liechtenstein, Lithuania, Luxembourg, Macau, Malaysia, Maldives, Malta, Marshall Islands, Mauritius, Monaco, the Netherlands, Netherland Antilles, New Zealand, Norway, Oman, Poland, Qatar, Romania, San Marino, Saudi Arabia, Serbia and Montenegro, Seychelles, Singapore, Slovak Republic, Slovenia, Spain, South Africa, St. Lucia, Sweden, Switzerland, Taiwan, Thailand, the UAE, the UK, Vatican City, and Vietnam. If you would like to buy from the USA Raden Luggage online store, simply let us know which items you would like to order (by filling out the form below) and we’ll get back to you with a free international shipping quote within 24 hours!